To understand European culture and society in the Middle ages it is essential to understand the role of Christianity. And there is no better way to understand that role than to study that religion's greatest human heroes, the saints. For if medieval Christians regarded God as their king, then the saints were the Christian nobility, human members of the divine court. 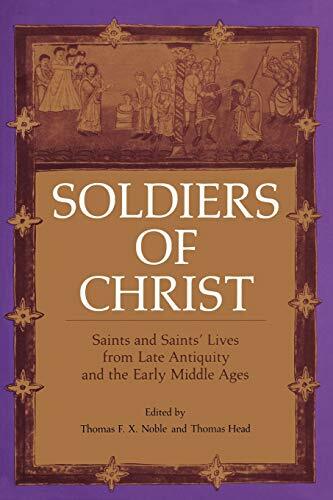 The purpose of Soldiers of Christ: Saints and Saints' Lives from Late Antiquity and the Early Middle Ages is to present some of the most significant records of the lives of those people considered to be saints. In exploring these works the reader will be presented with rich evidence about the development of religion and society in western Europe from the late Roman empire to the great changes that transformed European society around the year 1000. Each text is newly annotated and prefaced by the editors, and a general introduction on saints and saints' lives makes this volume ideal for students and general readers alike. Included are lives of Martin of Tours, Augustine of Hippo, Germanus of Auxerre, Boniface of Crediton, Strum, Willibrord, Benedict of Aniane, Leoba, Willehad of Northumbria, and Gerald of Aurillac, as well as the Hodoeporicon of Saint Willibald. Soldiers of Christ brings together for the first time in one volume eleven critical writings about the saints from Late Antiquity and the Early Middle Ages. Each text is newly annotated and prefaced by the editors, and a general introduction on saints and saints' lives makes the volume ideal for students and general readers.